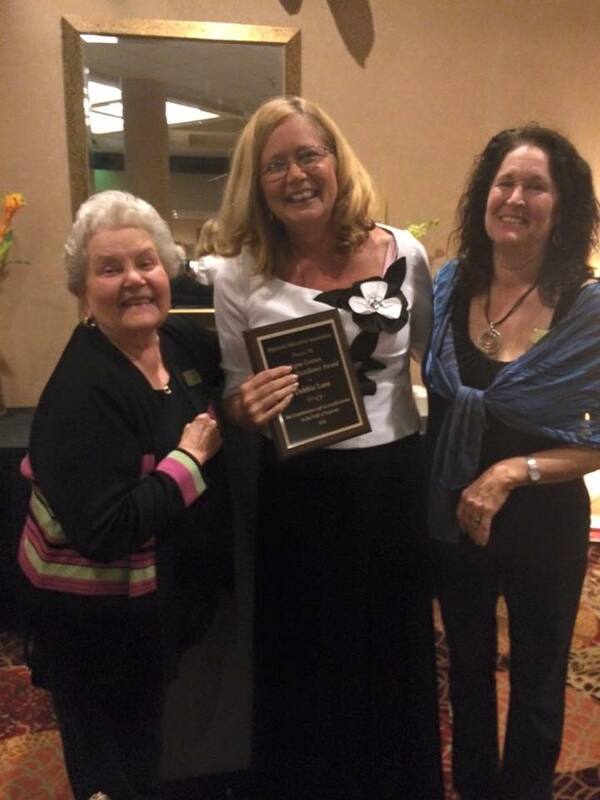 The recent Hypnosis Education Association (HEA) conference was so much fun! The first night was an informal dinner and crazy gifts exchange. Because I love to stir the pot and make the game more fun, I kept stealing the gifts that a founding member, Lynn Groves had. It wasn’t that I was out for her, she just kept getting the most fun stuff to steal! The next morning, classes were given by some of the most knowledgeable people in the hypnosis professions. I learned a bunch of techniques to add to my tool box! Even the lunch was a great opportunity to pick the brains of these talented individuals. Saturday night was a dinner and hypnosis awards were given out. Seeing the talent that surrounded me, I couldn’t wait to see who was honored. Sure enough, the awards went to some pretty great people. Then the President (Carol Perrine) began to talk about the Lynn Groves Keys To Excellence hypnosis award. As she is describing the honoree, I began to notice we had some common traits and experiences. My name was called and I was stunned! Almost speechless. I just kept shaking my head as I got up to accept the award from Lynn Groves! I had to tease her and say that once again I was taking something from her. I am so humbled and grateful to the HEA for all that I have learned attending the conferences and also for the recognition that they have given me.